Nii Ayitey Anumle Oyanka, the Oblieman Mantse has collaborated with the Development Queen of the area to create jobs for the development to the people. Naa Okunko Adaku Mansa I, known in private life as Ms. Graciela Blackstone, is the Chief Executive Officer (CEO) of Blackstone and Associates, LLC, which manages the development of the 435,700 square foot Blackstone Amphitheater and Conference Center for Humanity in Annapolis, Maryland. She was Installed Queen of Business Development some few years ago by Nii Ayitey Anumle Oyanka I, the Chief of Obilieman-Opah who doubles as Acting Paramount Chief of Abola Piam We Stool, GA State, Accra (also known as Acting GA Mantse). Nii Oblie has hinted that documentations are underway with government for the commencement of some projects in the area as promised by the Queen Mother. According to Naa Okunko Adaku Mansa I, the projects are expected to bring huge opportunities in various categories for the youth in and around Oblieman. On the sidelines of a mini durbar in her honour, she said the projects biofuel for example should be able to create jobs, schools, hospital facility, portable drinking water projects amongst others to bring opportunities to the people of Oblieman, a suburb of Ga West Municipality in the Greater Accra Region. 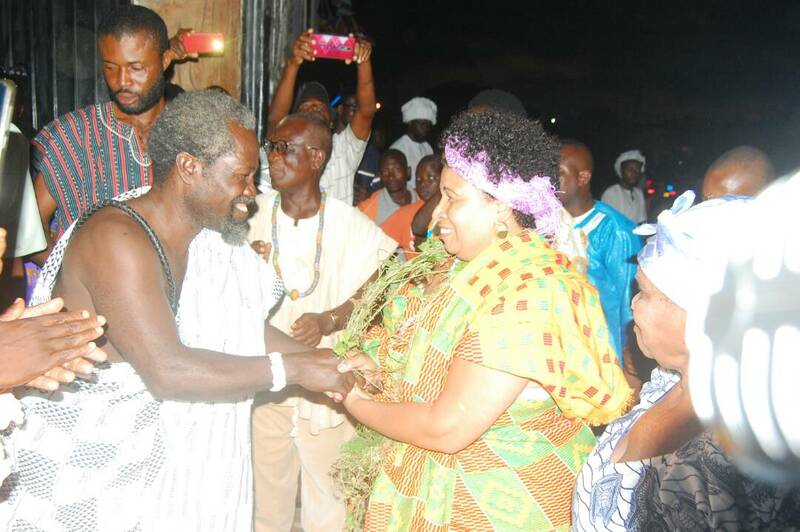 The Oblieman Manyeh, who was expected from Maryland, during this year’s main Homowo celebration said she could not make at the time due to bad weather which affected movements of lights in US. Nii Oyanka I said, “It has always been my wish to bring development to this area and I hope our partnership will inure to the benefit of the people of Oblieman and its surrounding communities”.